Sea Bass is NOT happy! 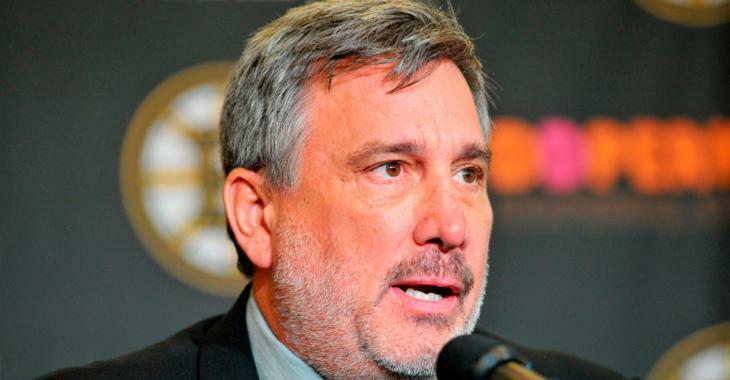 Cam Neely knows that he hasn’t seen the best of his team yet. Injuries to key players like Zdeno Chara, Patrice Bergeron and Charlie McAvoy have prevented the team from putting their best lineup on the ice so far this season. Still… it’s the excuses are starting to catch up to the Bruins and Neely has seen just about enough. Following Tuesday night’s terrible 5-0 loss to the Florida Panthers, Neely just couldn’t hold back his contempt any longer. “I just didn’t like a lot of the way we were playing. We could certainly tighten and try to eliminate the amount of scoring chances we’ve been giving up the last couple of games,” said Neely. Neely didn’t name names, but if you’ve watched the Bruins the past week it’s not difficult to figure out that he’s talking specifically about Brad Marchand, David Pastrnak and David Krejci. Neely would go on to say that the team may need to work in some more youth, indicating that maybe a call up or two from the Providence Bruins is in the works. In the end though… the Bruins just need to get down to work, simplify things and start doing the little things that win hockey games.